1877 English lever fusee, G. Croft & Co. London, 11 jewel, in an 1877 hallmarked Sterling silver case. 1990s Jaeger Le Coultre Master Ultrathin cal. 839, 18 jewel. 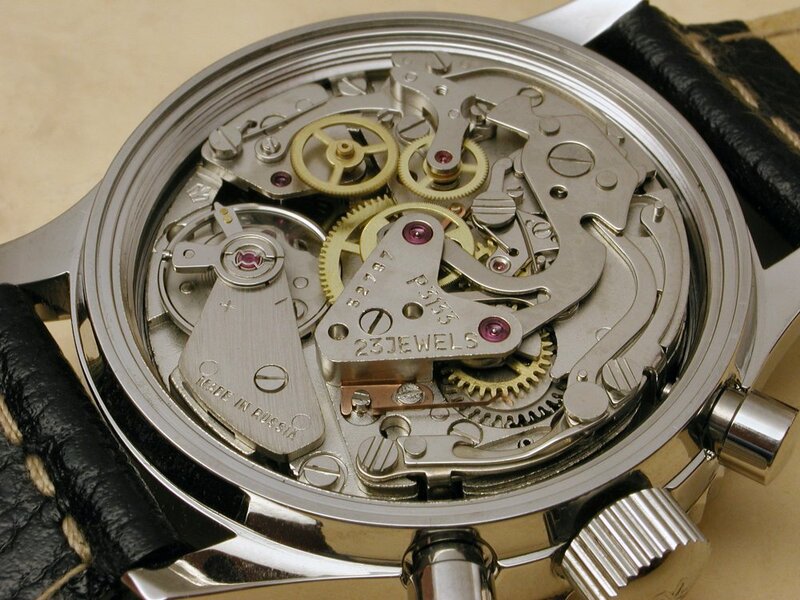 The movement was introduced in 1975 and is only 1.85mm thick. 1930s ETA cal. 735. 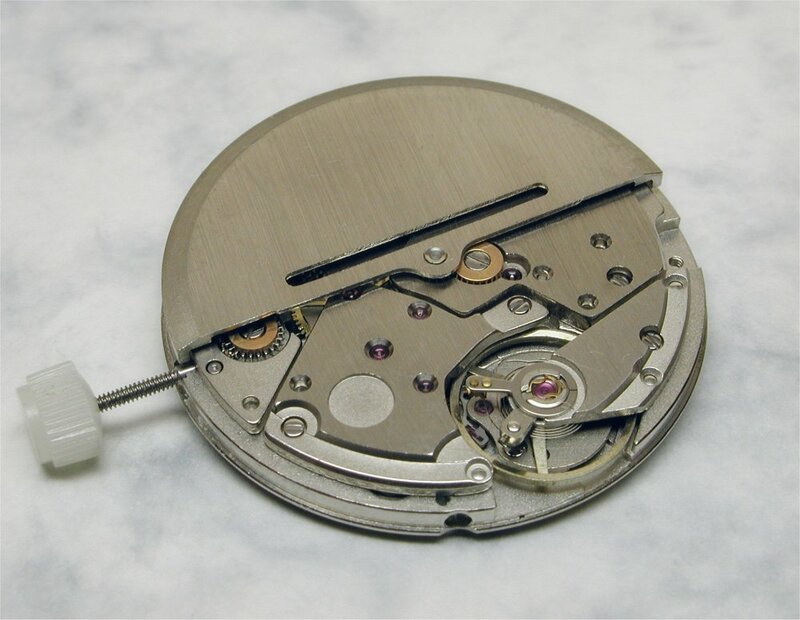 A well finished barrel-shaped movement used by a number of brands, notably Bulova in a number of modified versions ranging from 17 to 21 jewel. 1920s Zenith 16 ligne (around 36mm). Note Zenith's distinctive snail cam type fine regulator. This movement is a little unusual. It has no makers' markings on it at all but would look familiar to Omega collectors. It's a 1970s Tissot cal. 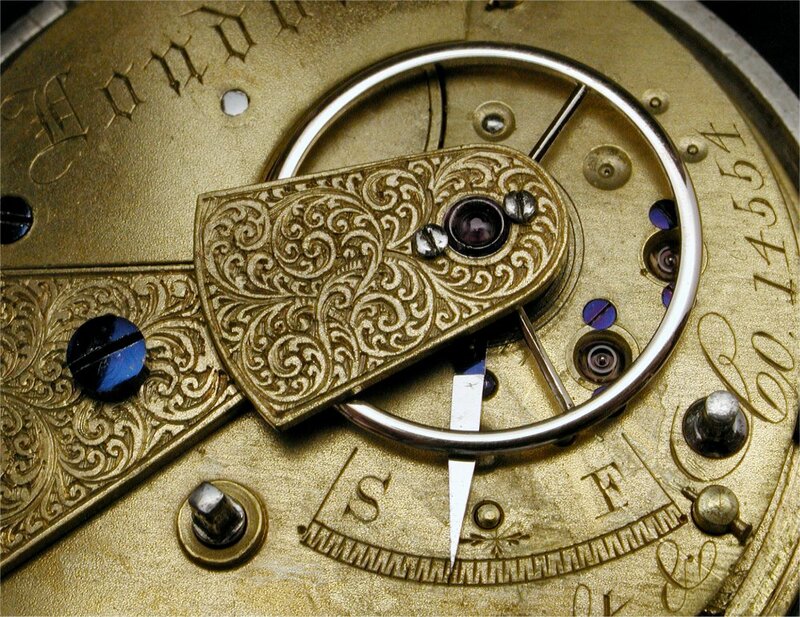 2950, (17 jewel, Date). Under the SSIH umbrella Omega and Tissot shared some movement ebauches and this is the Tissot equivalent of the Omega cal. 1010. 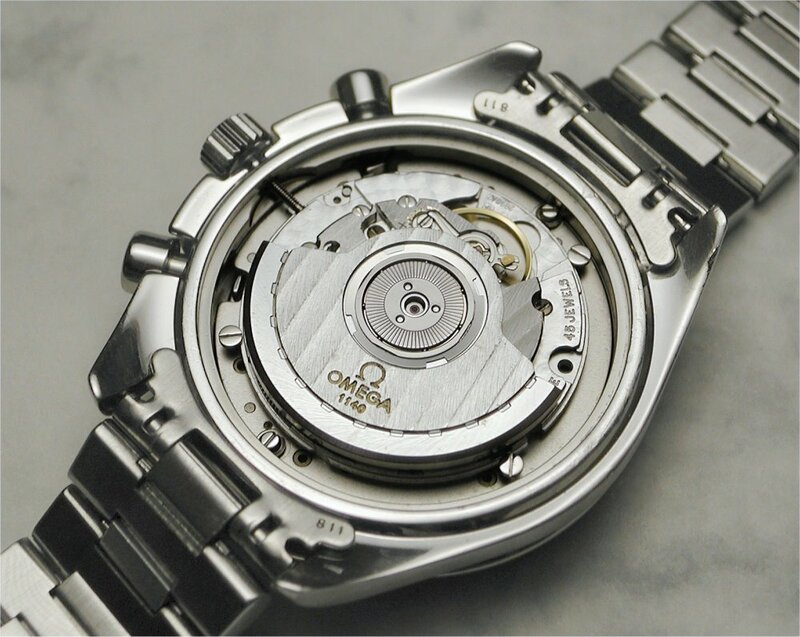 Some modifications were made - for example the plain nickel balance on this movement and the absence of the distinctive copper plating of the Omega versions. 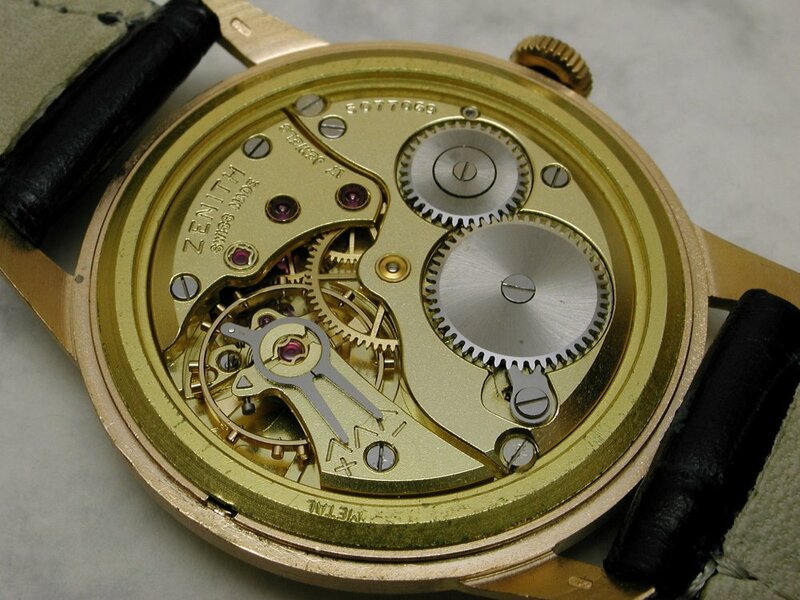 These movements would normally carry the "Tissot" name in the small round label recess but this one was acquired NOS unmarked. 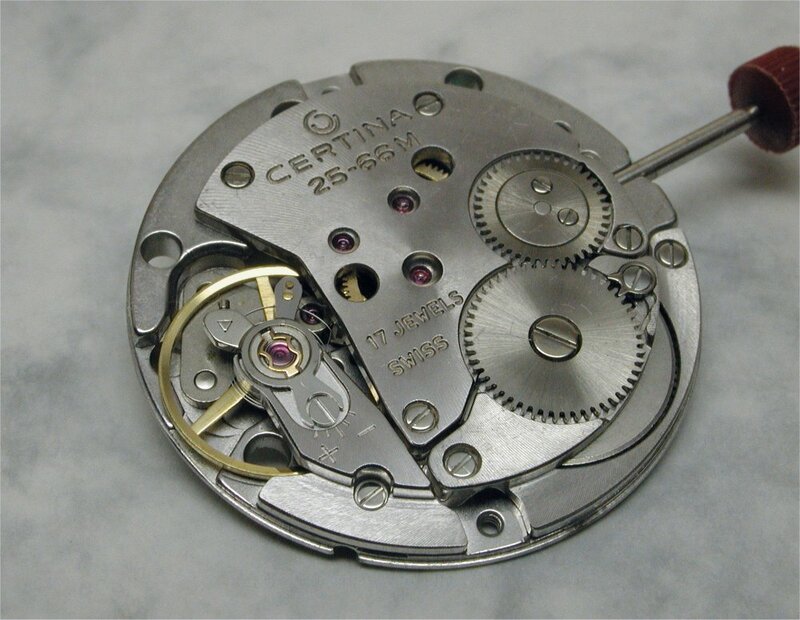 1970s Certina cal. 25-66M, 11.5 ligne (25.6mm). The movement looks to have an odd bridge layout but this is due to it being a manual wind version of an automatic design, (cal. 25-65M). You can see that there is an area around the circumference that would allow clearance for a rotor to operate in the automatic version. 2000s Poljot cal. 3133. In 1974 Valjoux discontinued production of their cal. 7734 two-register chronograph movement. Poljot acquired the tooling for the 7734 and based their cal. 3133 on that movement with modifications including upjeweling from 17 to 23 jewel. 1950/60s Vulcain cal. 355. 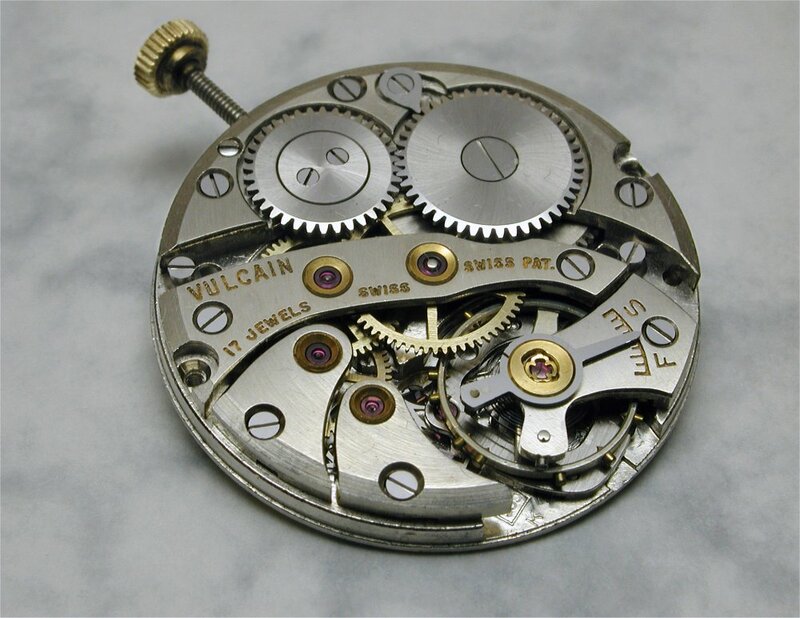 Vulcain were best known for their alarm watches but they made a range of watches including those powered by this nice in-house manual-wind movement. 1990s Omega cal. 1140. 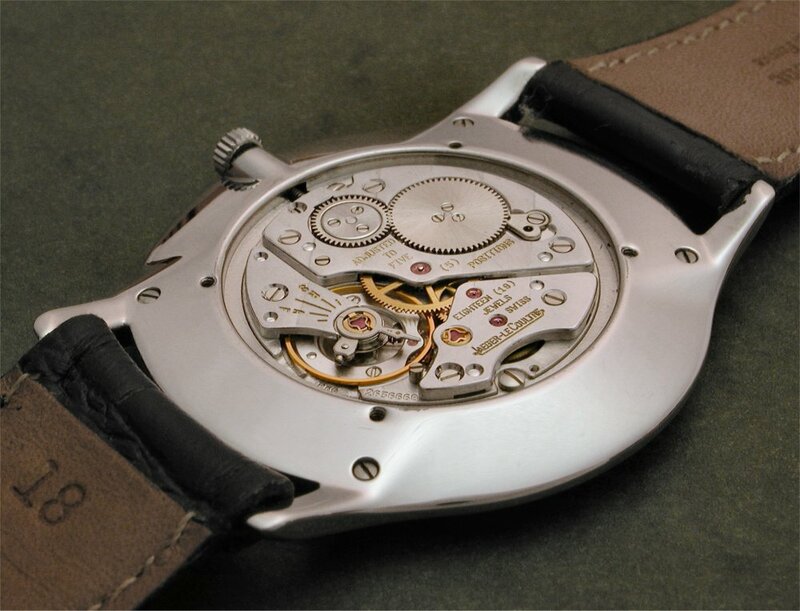 A modular construction chronograph with a Dubois Dupraz chrono module mounted on an ETA cal. 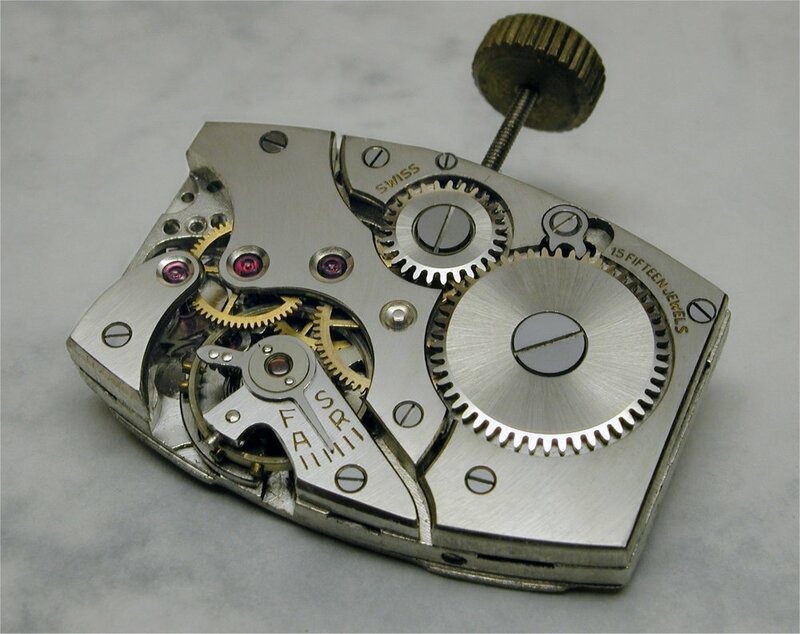 2890-A2 auto movement. The module and base movement have a combined 45 jewel count. Circa-1960 Zenith cal. 40, 12 ligne (around 37mm). 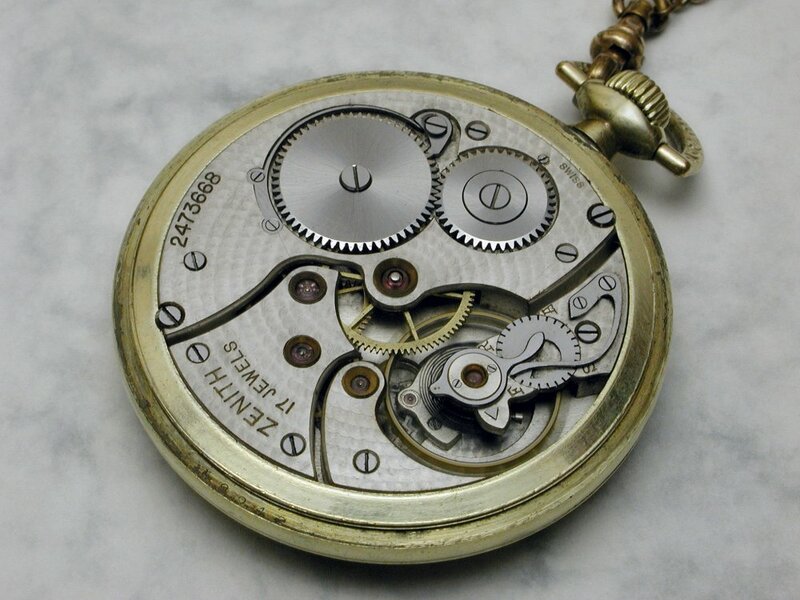 Note the Kif Duofix cap jewel setting on the escape wheel. These are often mistaken for shock protection settings but that is not their function. They serve as a means of affixing the cap jewels and allowing access for servicing/oiling. (Watches/movements from the collections of Rob B, TomG, and myself. Thanks to Rob B for technical info on various movements).